This mask gives your skin a boost! The mask moisturizes and nourishes your skin intensely. This prevents dry skin and your skin looks healthy. Your skin will also regain its elasticity and your skin will become soft and firm. 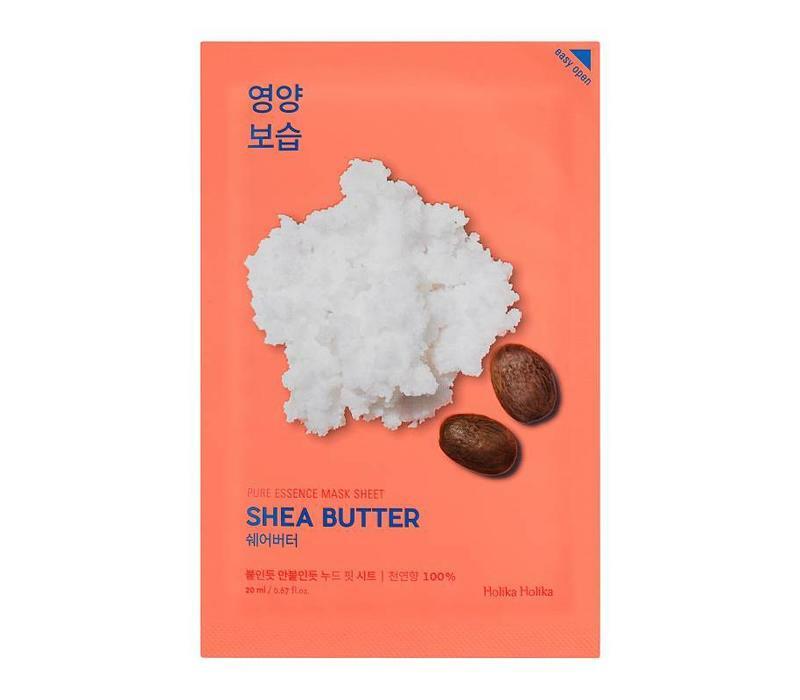 The Holika Holika Pure Essence Mask Sheet Shea Butter gives your skin a boost! The mask moisturizes and nourishes your skin intensely. This prevents dry skin and your skin looks healthy. Your skin will also regain its elasticity and your skin will become soft and firm. The mask feels comfortable on your skin because it is a light mask. Hydrates and nourishes your skin intensely. Gives your skin a healthy appearance. Makes your skin silk soft and firm. Apply the mask to a cleansed skin. Allow the mask to retract for 10-20 minutes and gently massage the remaining product into your skin.